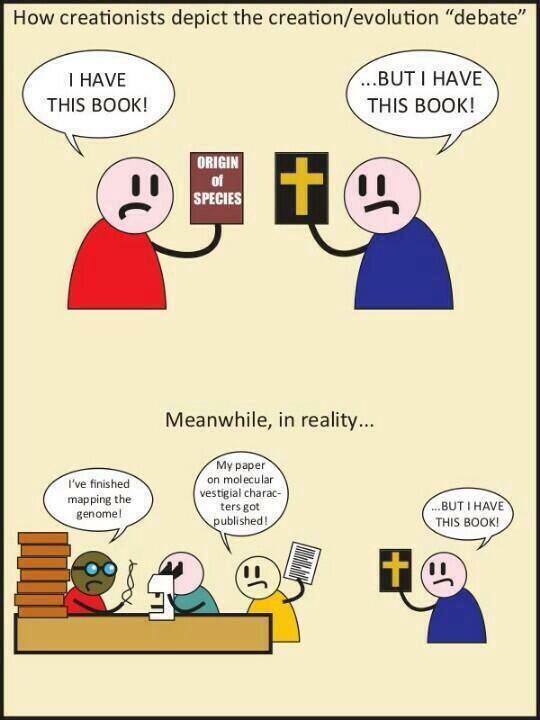 Creationism is not science. If he wants to teach creationism, they make churches for that. they do indeed. 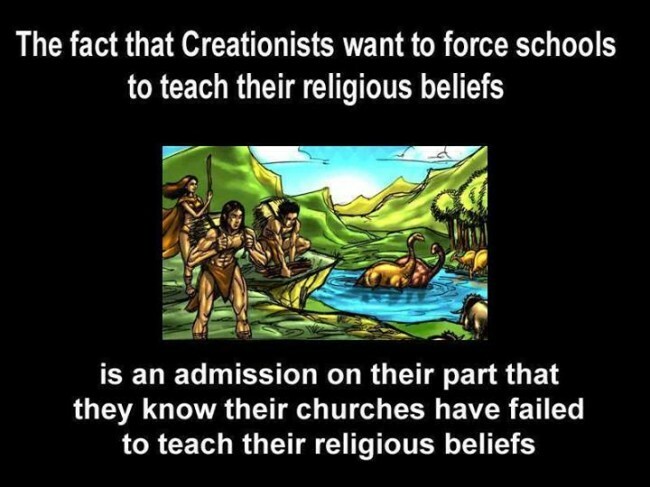 As the graphic I got from atheistmemebase.com says, it does seem to indicate that wanting creationism in schools is admitting that churches fail. Let’s assume the philosophical implications were tragic (they aren’t, but of course he is blind, so he will never see that)… So what? Should we stop teaching the truth because it’s not happy? Should we start teaching only feel-good lies? 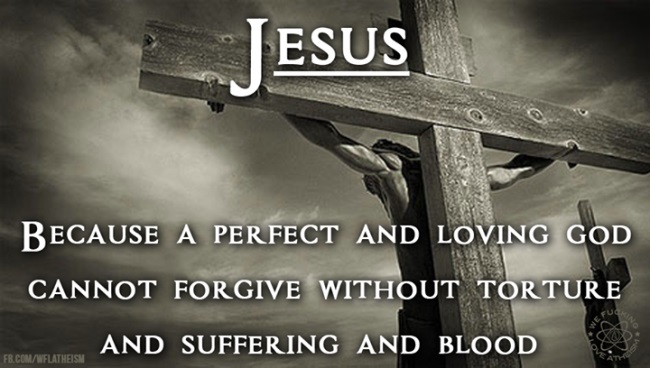 Are we really that pitiable creatures, not strong enough for a simple truth? A few days ago, we had a discussion with a friend who told me to consider creation theory. I asked what would we be testing and how can we formulate the null hypothesis. You know we got nowhere. it’s always amusing when someone claims that there is a creation theory, as if there is only one version of a creation myth. People do seem to want a theocracy over here. I think it is a combination of wanting someone to tell them what to do and the desire to tell everyone else what to do. Thanks for commenting on my website. I like the look and feel of your site much better than mine. Nice job. I share your concerns about the development of a theocracy. It would put us back into the dark ages. thanks. it’s just the theme piano black with a header image that I made in photoshop using a few jpgs from a Dover Publications CD/book about art deco designs. It is weird that the idea “But I want my kids to remain stupid like I am,” is something you have to kow tow to get elected in a country that once landed people on the moon. indeed. I read the story on Salon on how Christian home schooling truly fucks up people. It’s child abuse, what these people do, trying to keep their children as ignorant as they are. There’s always the bugbear of an issue, at what point does government interference become oppressive? IMNSHO, it is “don’t acknowledge religion exists” that is, if the magic halo “religious freedom” is needed to avoid a law or regulation…then ignore the magic halo.